It was only with Karajan, whom he detested, that he met his match. Karajan was too great a genius to be so much as irritated by Paul. Having observed and studied Karajan for decades, I regard him as the most importance conductor of the century, along with Schuricht, whom I loved. I must say that I have admired Karajan ever since I was a child, and that this admiration is based on experience; I have respected him at least as much as I have all the musicians with whom Karajan has ever worked. Paul had a fervent hatred of Karajan, whom he habitually described as a mere charlatan, but I regarded him, from decades of observation, quite simply as the greatest musician in the world. The more famous he became, the better he became, but my friend, like the rest of the musical world, refused to see it. Ever since my childhood I have seen Karajan's genius develop and come closer and closer to perfection; I have attended almost all his rehearsals of concerts and operas in Salzburg and Vienna. 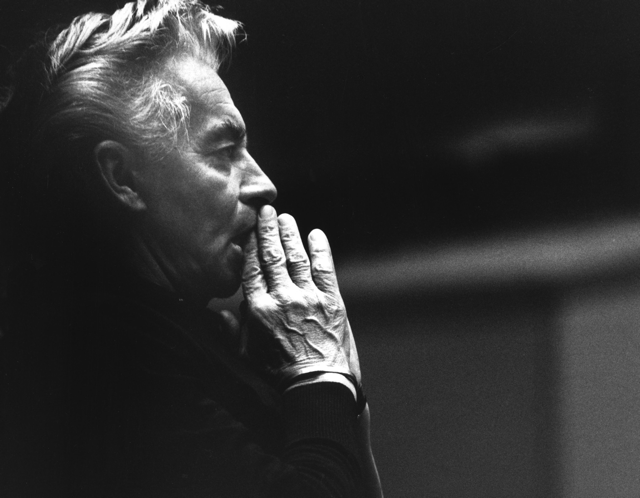 The very first concerts and operas I heard were conducted by Karajan. And so I am bound to say that I had a good foundation for my musical development right from the start. The name Karajan was guaranteed to produce a fierce quarrel between Paul and me, and for as long as he lived we repeatedly quarreled about him. But my arguments could never convince Paul that Karajan was a genius, nor could his convince me that he was a charlatan.